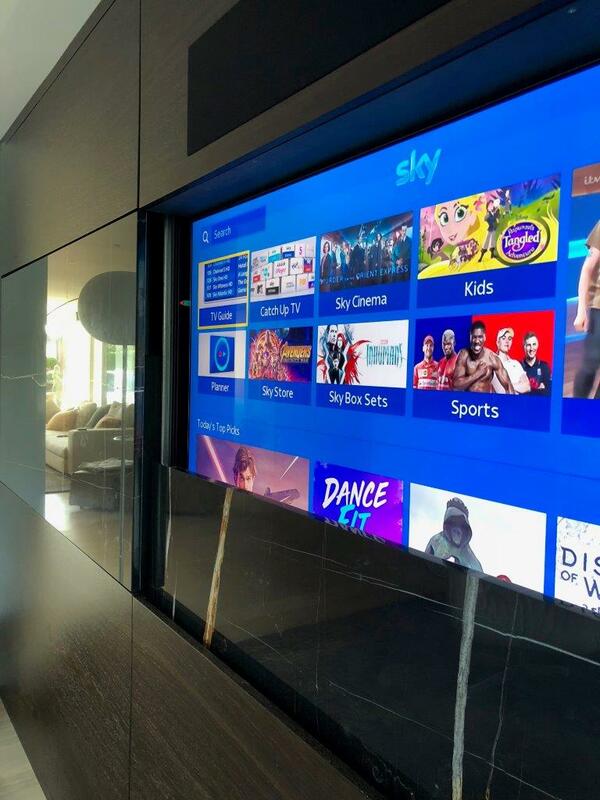 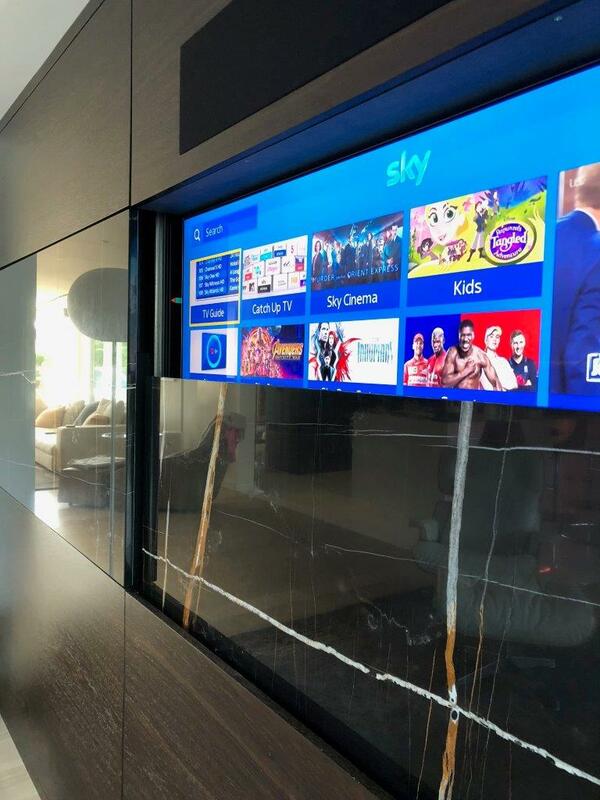 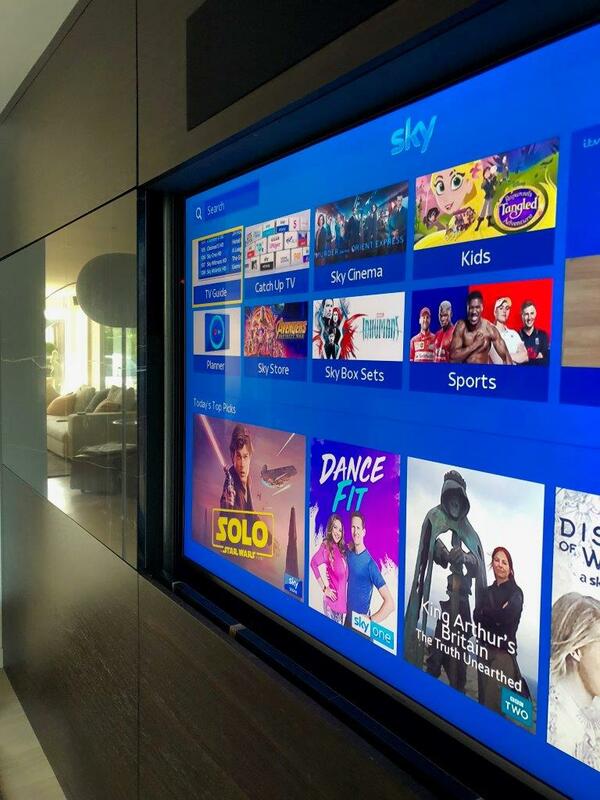 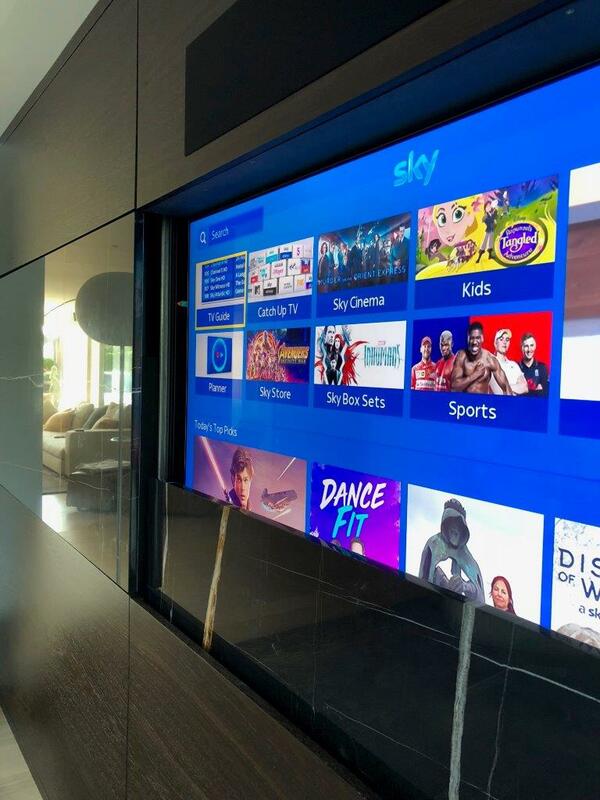 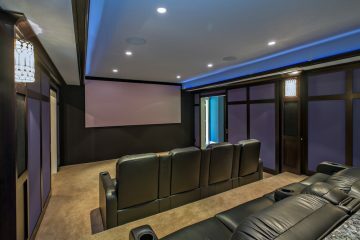 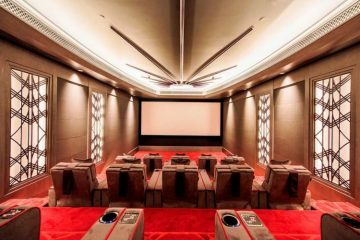 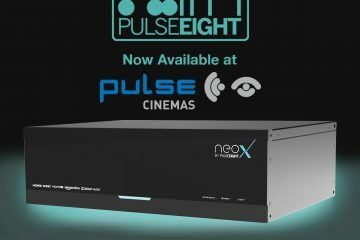 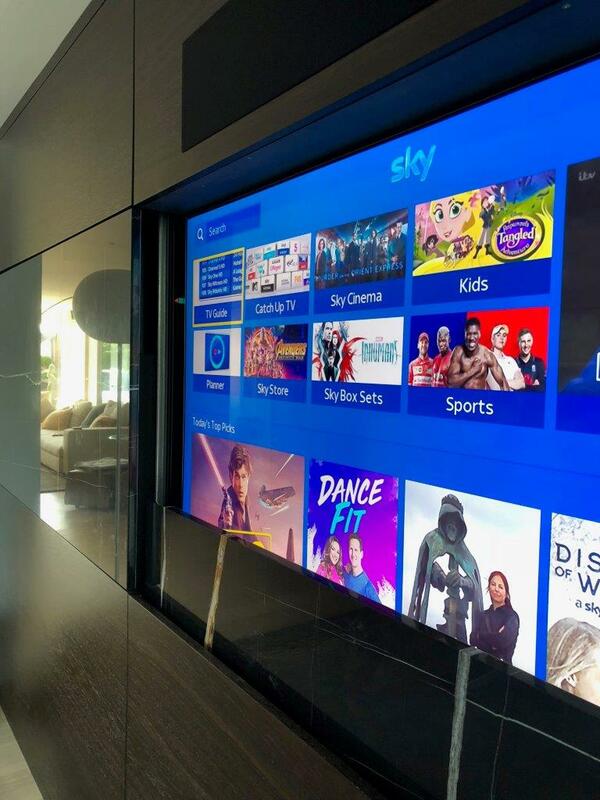 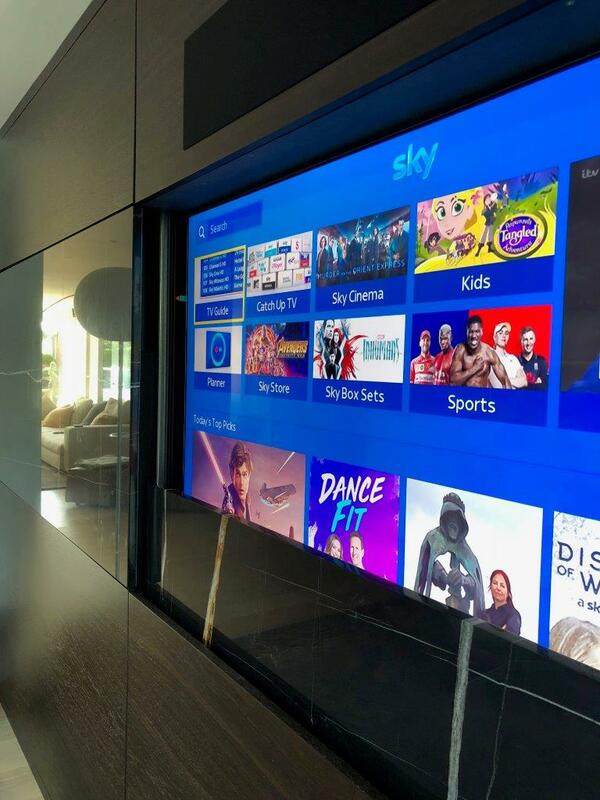 A really nice piece of integration here as Stuart Burgess of Just Add Popcorn delivers this impressive job completed recently with a little help from hide/reveal experts, Future Automation. 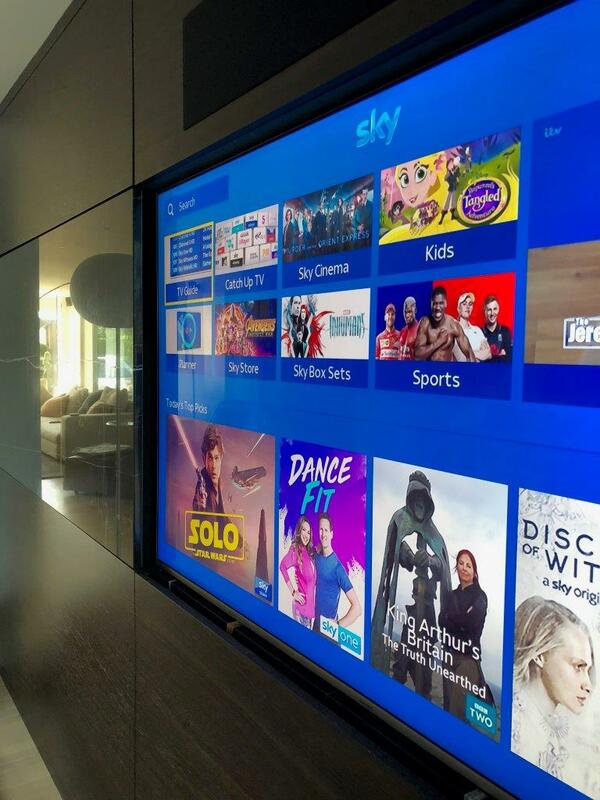 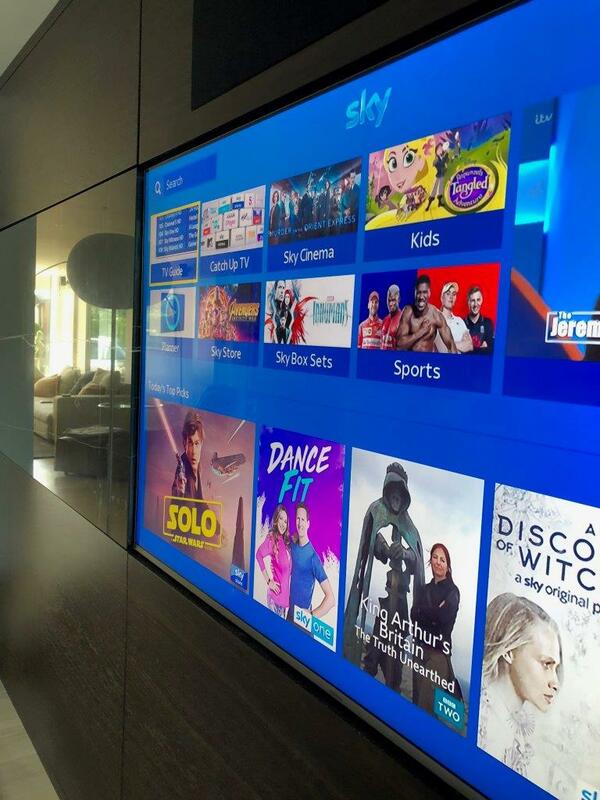 Stuart explains that the clients requested to have a 65in 4K Samsung TV in their room but did not want to see the screen when it was not being used. Cabinetry and marble fronts where made to match to the identical materials used in the open plan kitchen that the TV was going into. 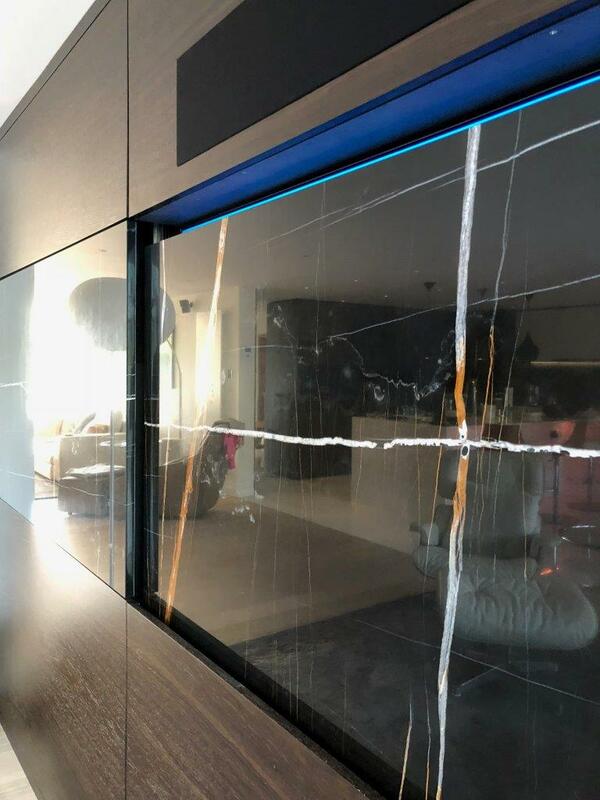 At the press of a button the 50kg marble panel moves back and down inside a recess. 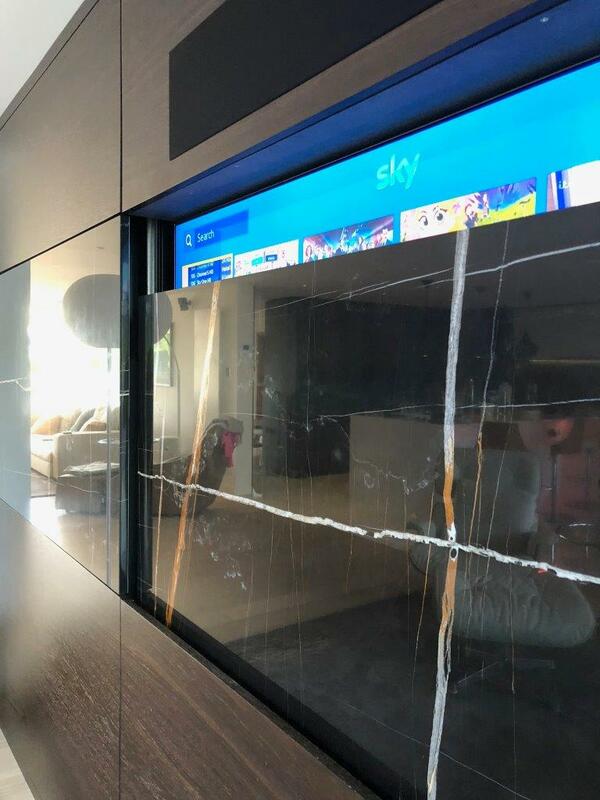 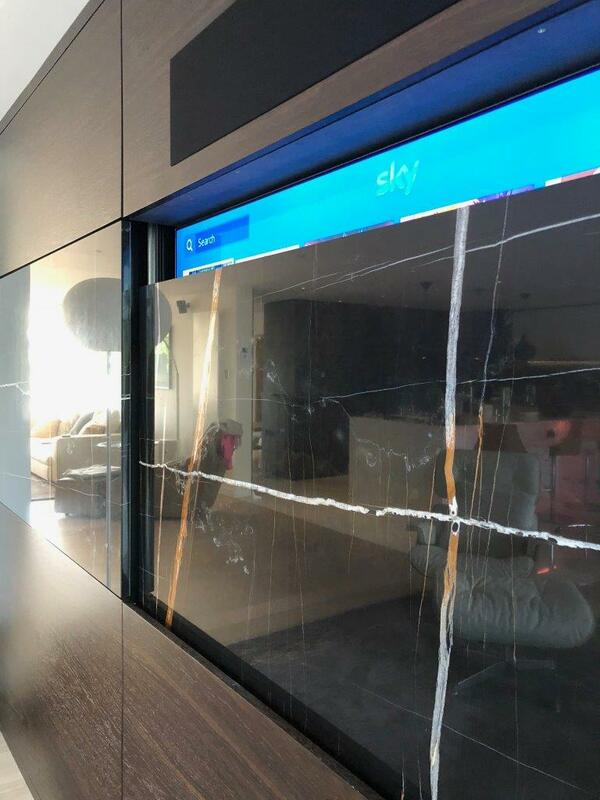 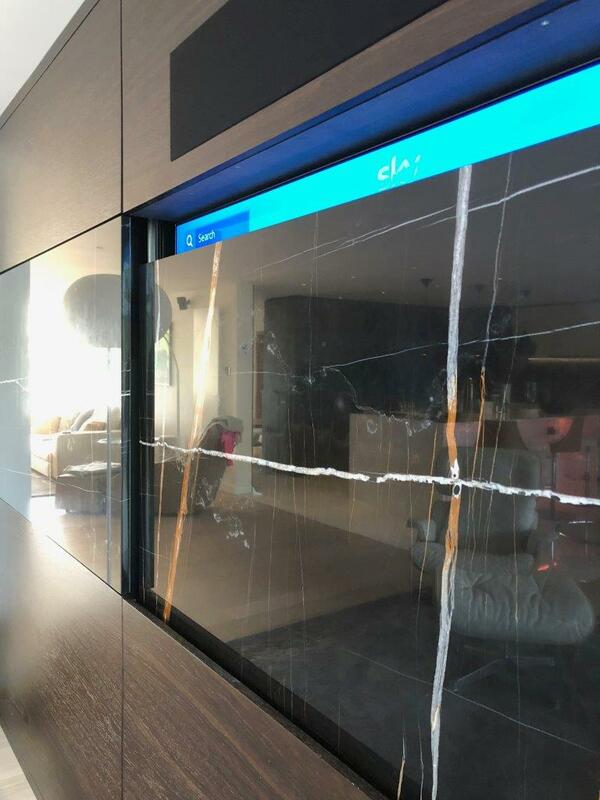 Then the TV switches on along with Sky and once the marble is down, the TV pushes forward to match totally flush with the front of the cabinet. Stuart explains that the TV more or less stays in place and only moves forwards or backwards around three inches on a scissor bracket. 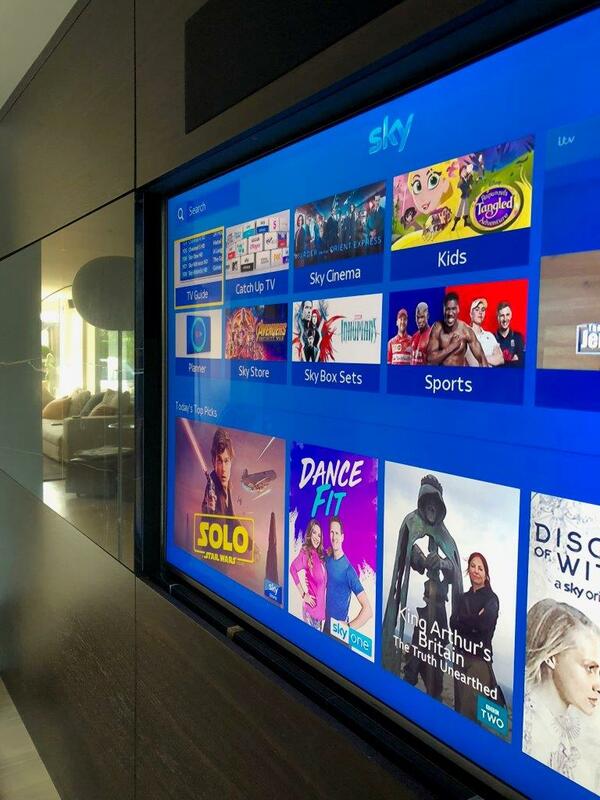 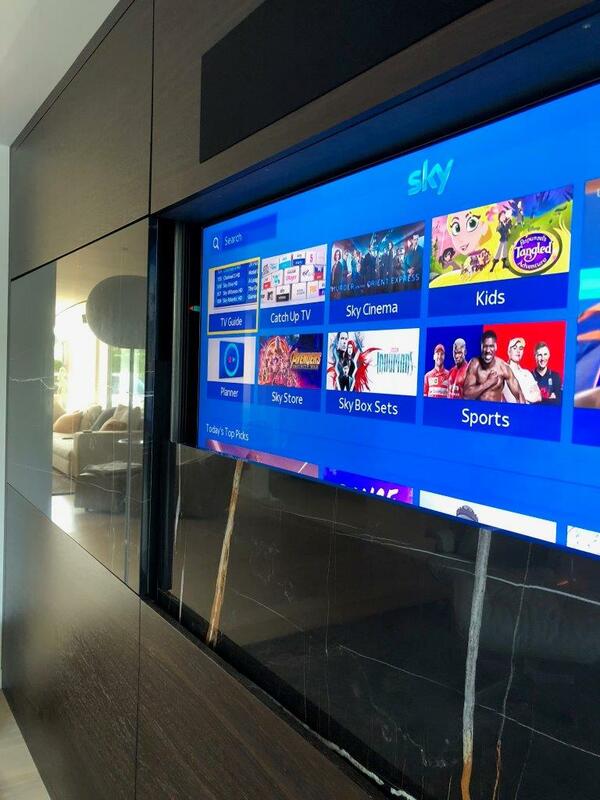 The moving panel is operated by a separate bracket from the TV one. 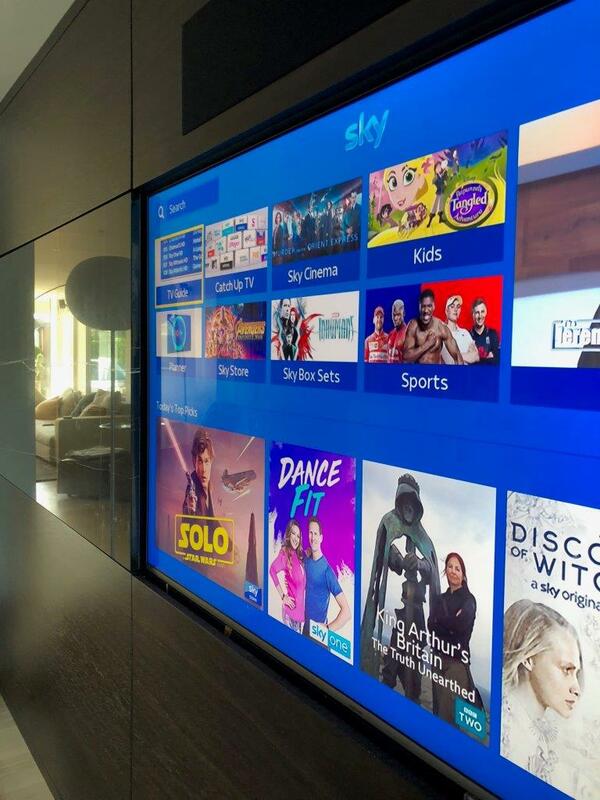 The Samsung TV is using the brand’s one connect box, so all the AV connections are away from the TV and connected to the TV by one flexible cable. 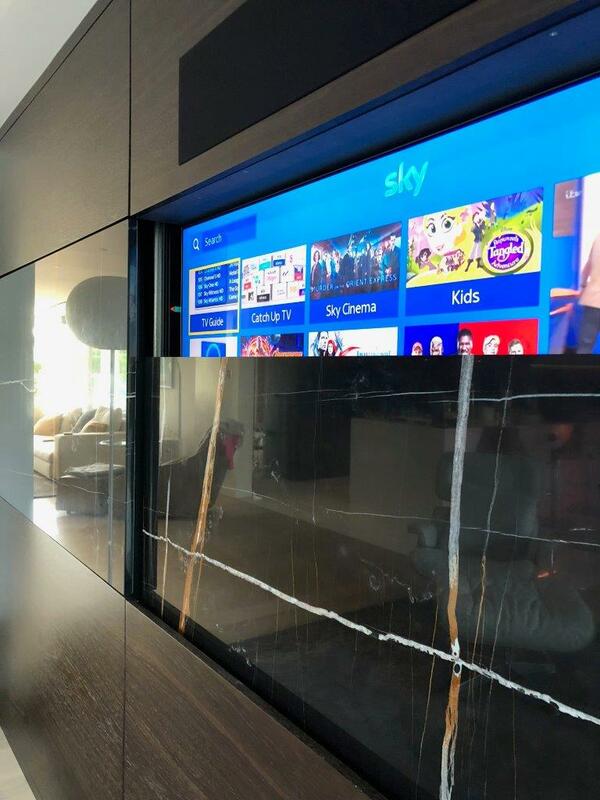 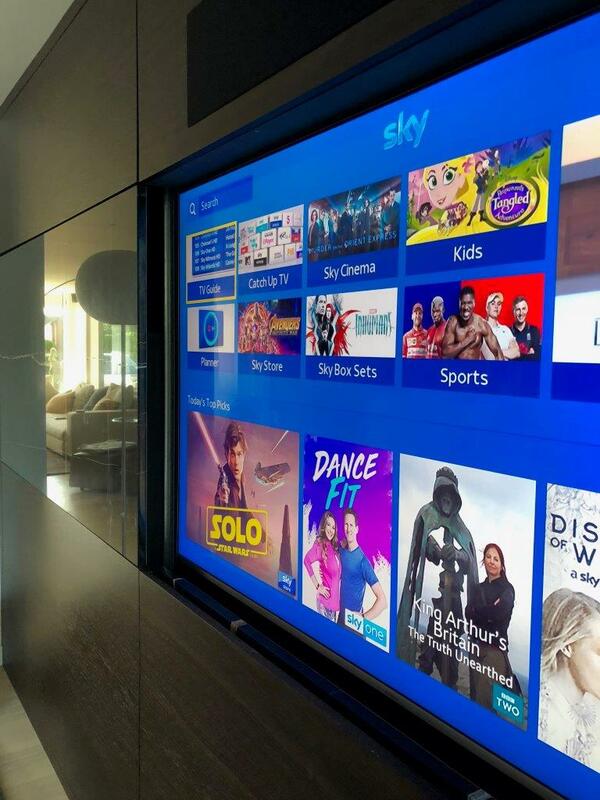 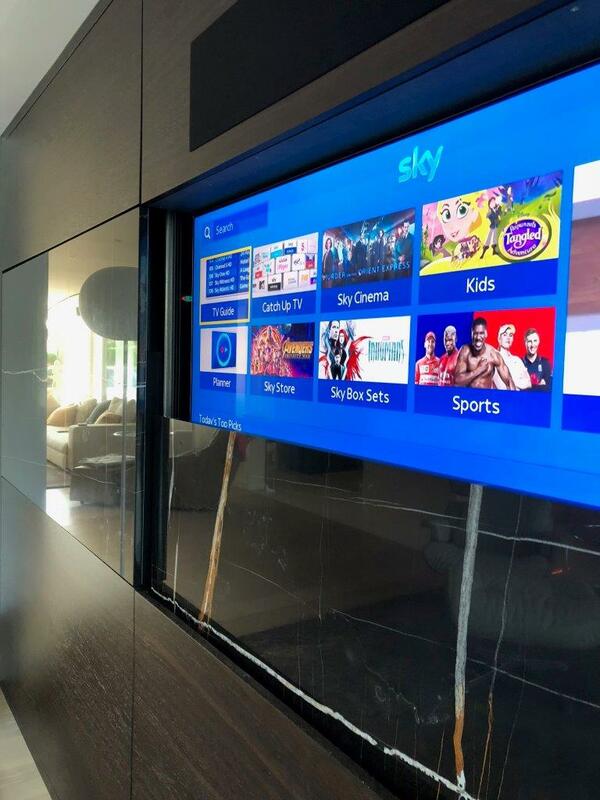 The client also wanted a Sonos Playbar in a covered recess above the TV mainly as they have a large collection of their products already.